When the world collectively stopped what they were doing in order to tune in to the live stream of Kanye West's Season 3 and The Life of Pablo album release party, The Life of Pablo album release party, the rapper made one minor error. 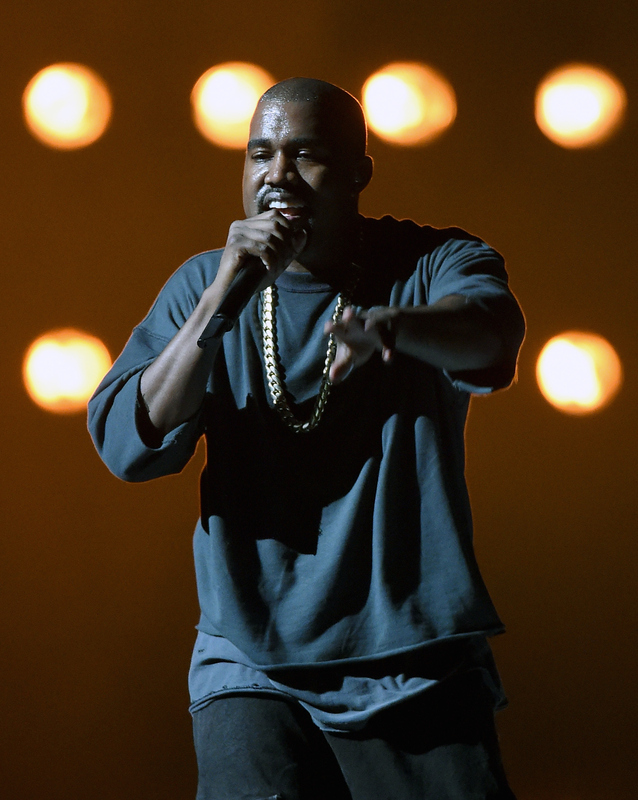 Yes, he had the eyes and the ears of the world upon him for his latest album, but everyone tuning in might have been too busy screaming over the release of these new songs, or cursing and swearing at their faulty live stream, to focus on the messages that Kanye was trying to promote. There were a lot of messages, but one stands out above the rest as not to be missed because of the larger implications thereof. Kanye referenced Black Lives Matter on "Freestyle 4," making him the second major artist to do so in the span of a week. Ironically, the first — Beyoncé, with her surprise release of formation — also did it with a TIDAL-exclusive release. "Driving in the same car that they killed 'Pac in," Kanye raps on "Freestyle 4," before continuing with, "Hands up, we're just doing what the cops taught us. Hands up, hands up, then the cops shot us." This line is so obvious an allusion to Black Lives Matter that it isn't even worth drawing the obvious connection. It's more important to examine exactly what it means that two such high-profile artists have dropped singles in the same week that drew even further awareness to the movement, especially going into an election year that comes after Kanye claimed that running for president is on his list of things to do. On the Saturday before the Super Bowl, Beyoncé released the music video for "Formation," which was a bold declaration of her Southern and African-American heritage. The video also included a powerful shot of a wall of graffiti emblazoned with the words "Stop shooting us." Just in case you didn't entirely get the point from the lyrics and the visual cues, Beyoncé performed "Formation" live for the first time at the Super Bowl on Sunday, dressed, and with her backup dancers dressed, in outfits that harkened back to both the Black Panther and Michael Jackson. Now, here comes Kanye, planting another seed in the middle of "Freestyle 4" that builds on the momentum that Beyoncé pioneered earlier in the same week, that keeps the Black Lives Matter movement at the forefront of the public's attention when they might otherwise just be distracted by the music. By using the music in order to send a message, Kanye and Beyoncé have done something very similar to what Barack Obama did when he became a serious contender for president: use pop culture to reach even those who consider themselves apolitical. With two terms of presidency under his belt, Barack Obama has made numerous television appearances in everything from comedic "faux news" shows (The Daily Show, The Colbert Report) to web series (Comedians in Cars Getting Coffee, Between Two Ferns with Zach Galifianakis). With one single, and one album, under their belts, Beyoncé and Kanye respectively have dropped the kind of songs that people will be talking about for months to come. They could have used that platform, that artistry, to do anything — and they deliberately chose to use it to promote Black Lives Matter. To remind the world that music is all well and good, pop culture is all well and good, but there are still real political issues being faced by their black brothers and sisters across America. And, yes, you can enjoy their music, but that comes with a certain responsibility to absorb their message when you're busy memorizing those lyrics. And when you absorb that message, when you think about the politics threaded throughout their music, more than anything, Beyoncé and Kanye want you to think. It's not just a year in which we're blessed enough to receive a new Kanye album and a new Beyoncé album. It's election year, and, if you care about their music, and if you care about Black Lives Matter, then you should care enough to vote for someone who also cares about that unforgettable issue. Regardless of how you feel about The Life of Pablo — and how you'll feel about Beyoncé's new album — it's almost impossible not to respect both Beyoncé and Kanye. They're using their platforms, Beyoncé as a singer-songwriter and entrepreneur commanding a Beyhive of fans, and Kanye as a rapper, fashion designer, record producer, and entrepreneur whose every rant makes headlines, responsibly. They're encouraging their audience to think, to be aware, to stay woke. And then get in formation come election time.